What is it that's so magical about watching a day come to an end? Whether you sit alone and watch the sun set, or hold the hand of the one you love, you experience something unique as the sky fills with warm hues before slowly fading away into the dark of night. 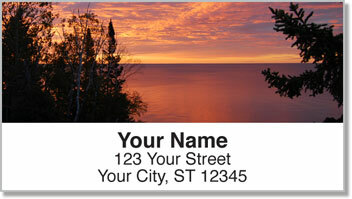 Scenic Sundown Address Labels from CheckAdvantage feature awe-inspiring photography of the spectacle that comes at dusk. 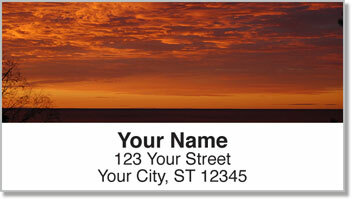 They'll help add a bit of beauty to boring brown packages and plain white envelope you send in the mail. A handy self-adhesive backing means all you have to do is peel and stick! 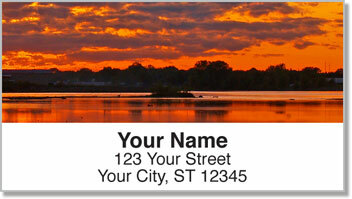 Get your own Scenic Sundown Address Labels today! 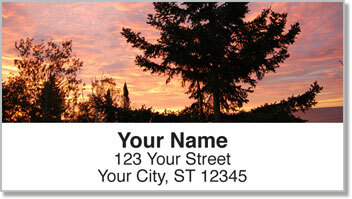 You can also order this nature design as a set of matching personal checks.